Technicalities aside, attraction is still governed by emotion and 'Plush Solid' conjures many. 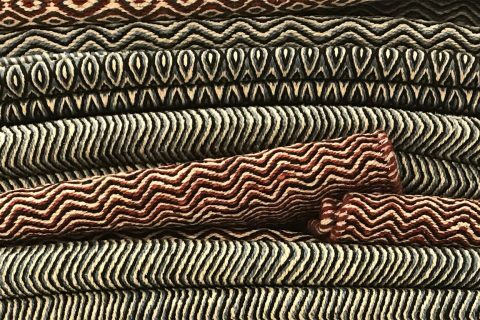 ‘Your eyes may not intentionally deceive, but they do not reveal the tactile nature of carpets.’ – From a purely objective viewpoint one could rightly argue that in 2019 there is little reason to make a solid, that is to say, a single colour handknotted rug or carpet. As many other techniques – broadloom and handloom as two examples – can readily satisfy the visual requirements in order to complete the look at a fraction of the price, the expense of handknotted simply doesn’t fit the technocratic bill. Great design however is never solely governed by technicalities, rather it is a melange of fact and the seemingly irrational nature of attraction, pleasure, desire, and countless other emotions. Thus subjectively, the ‘technical’ look if you will, pales in comparison to the touch, the tactile sensations, the haptics of the particularly sumptuous and decadent ‘Plush Solid’ by Sambhav. 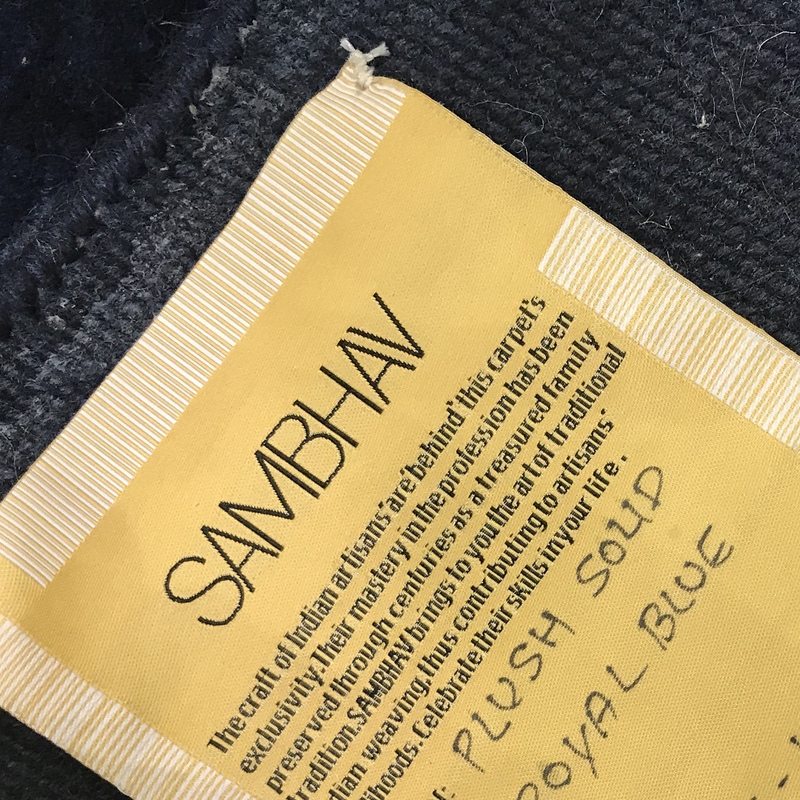 The ‘Plush Solid’ quality of carpet by Sambhav shown in colour Royal Blue, as seen during Domotex 2019. | Photograph by The Ruggist. To describe the feel in words such as buttery, velvety, or rich, is to do injustice to the hand and handle of the carpet, rather let us describe it via the emotions conjured by the phrase: There is a sensuality about textile; they should not only invite the touch, but compel it to linger longingly. As a bit of a hedonist, I’m not certain a higher compliment could be paid. Handknotted in India of a blend of New Zealand Wool and Mohair, the Indo-Tibetan carpet creates a floor that literally invites you to get up close and personal. I experienced it up close during Domotex 2019 and if you’re one who enjoys sensation, you would be well served to seek it out as well. Enjoy! For further information on the ‘Plush Solid,’ contact Sambhav. Next Post:‘Make Rugs Not War’ | Carpets as Art! A teasing glimpse of design reminds to look beyond the surface.